DANBURY — For many, running a 5k road race in early May provides an occasion to get outside and enjoy a chance to accomplish a physical fitness goal. For 28-year-old Danbury resident Monique Gesualdi, lining up to start the first LifeChoice Blue & Green 5k in North Windsor on May 3 was just another affirmation that she is alive and kicking. She finished the race that was organized to help raise awareness about the need for more registered organ donors in 27 minutes and 49 seconds. The woman with a big smile and even bigger sense of humor has come too far since May 3, 2012, to let anything stop her from appreciating all the fun, little things life has to offer. And most importantly, the chance to take the time to enjoy all of them. She may have been born on July 8, 1985, but she now readily admits that she has two birthdays to celebrate. Two years to the day before the LifeChoice race, Gesualdi underwent a liver transplant at Yale-New Haven Hospital. She had been diagnosed with stage 4 liver cirrhosis two months earlier, but after her liver was accidentally “nicked” during a biopsy, doctors told her family members that she needed a transplant within 24 hours. Unlike so many other people suffering in need of a new organ, Gesualdi was matched with an anonymous donor in time for a life-saving liver transplant. Two life-saving craniotomies later, just weeks after her transplant, and Gesualdi was still fighting strong from her hospital bed. The road to recovery was a long battle, but one Gesualdi had to embrace with open arms with strong support from her family and friends. The doctors were unable to determine the exact cause of her initial liver problems, but it wasn’t from what is the first thing that comes to mind for most people — alcoholism. “That’s like the `bat’ signal when people hear my story,” Gesualdi said. Gesualdi’s desire now is to share her story with the world and also to get back to what she enjoyed doing most for many hours of her young life — playing golf. She earned a full athletic scholarship to play at Division I Furman University in Greenville, S.C, and recently became a part-time volunteer instructor as part of Richter Park’s The First Tee youth golf program. 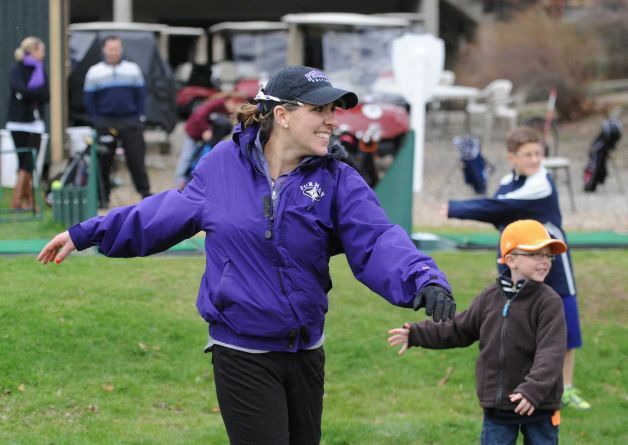 After bouncing around between different jobs after graduating from Furman, Gesualdi was planning on moving back to Florida to take a job in real estate and get her golf teaching certificate before she became ill.
Gesualdi wants to share that passion for golf with the young members of the Richter Park program. 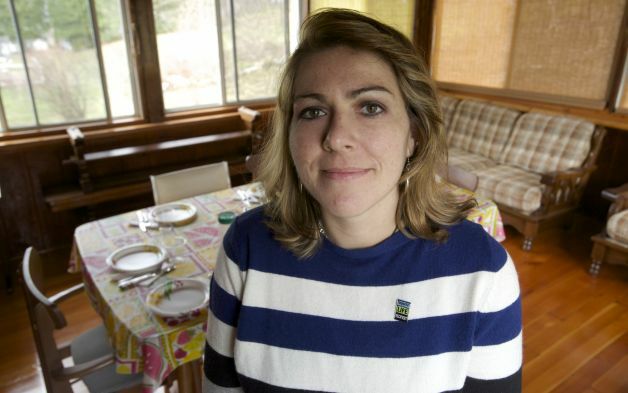 Gesualdi’s love affair with golf began as a 10-year-old after she moved from Danbury to Kitty Hawk, N.C., with her mother, Nancy Ashe, her stepfather, Ed Ashe, and sister Desiree. The family bought a house right next to Ducks Woods Country Club. 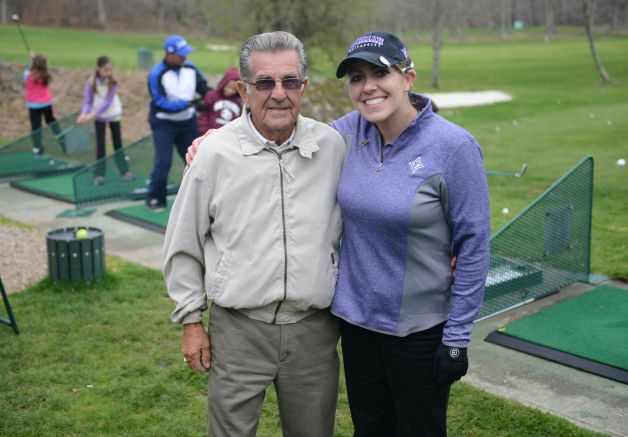 Gesualdi’s mother, Nancy Ashe, signed up for lessons with former golf pro Tommy Wine at Duck Woods and he noticed something special in Gesualdi. Gesualdi also was able to taste winning early as she won the first tournament she played held in Pinehurst, N.C. Her mother began looking for better opportunities for Gesualdi’s golf future, and the family moved to St. Augustine, Fla., when Gesualdi was 14 years old. She went on to star at Nease High and earned the Florida Times-Union’s 2002 All-First Coast Girls Golf Player of the Year honors. She was even named “Female Athlete of the Decade” for girls golf for 2000-2010 by the St. Augustine Record. She ended up getting seven full scholarship offers and was close to choosing Wake Forest until she was swayed by a friend to attend Furman and play under legendary coach Mic Potter. After spending 71 total days in hospitals in Greenville, S.C., and New Haven, playing golf again was a long swing away for Gesualdi. She had to learn to walk again and do all the little things every person takes for granted. Gesualdi learned quickly it would be one step at a time to recovery. 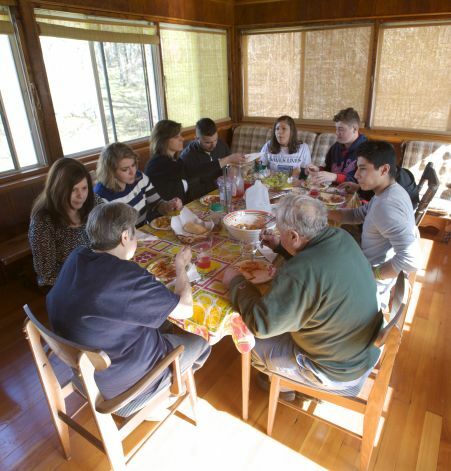 Luckily, Gesualdi’s large family was there to help her recover, including her aunts Caryn Swenson and Ventrella, along with a long line of grandparents, cousins and friends. After battling problems with her peripheral vision, Gesualdi is now taking driving lessons and is close to getting her license. It’s taking many hours of therapy with Dr. Schulman in Norwalk, but getting her driver’s license is a big goal for Gesualdi. Gesualdi is most stubborn now about getting the word out as far and as loud as possible regarding the importance of organ donation. She is a volunteer ambassador for Donate Life Connecticut, a member of Toastmasters International and COPE (Community Outreach for Purpose and Empowerment). The lady who since her surgeries has run seven 5k races since and has broken 80 on the golf course several times wants nothing more than to get her message out to everybody about organ donation. She has her own website (www.justsaymo.org) which chronicles her story and all the benefits of organ donation. More than 120,000 men, women and children are awaiting organ transplants to save their lives, according to Donate Life America. 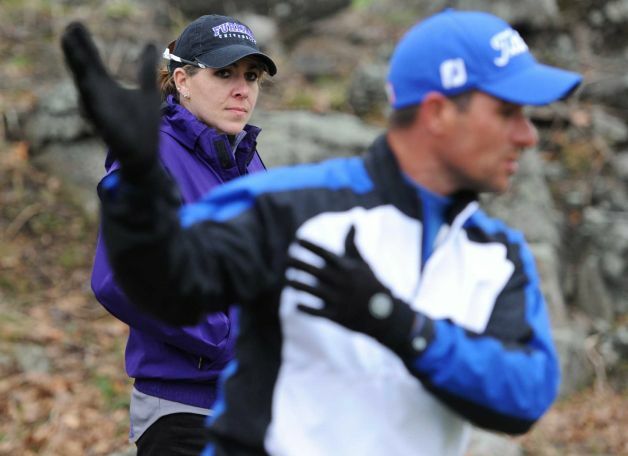 Gesualdi, meanwhile, hopes to become a golf instructor and continue her work as a motivational speaker. Her next athletic challenge will come July 11-15 in Houston, Texas, when she competes in the Transplant Games of America. 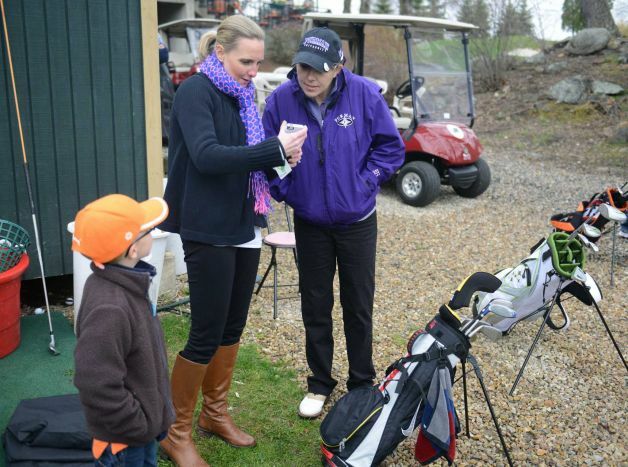 She will be representing the Transplant Team of Connecticut in golf, a 5K road race and two other sporting events. The team is still raising money to attend the Games, and donations can be made by visiting the team’s website at www.transplantteamofconnecticut.org. Every step forward is a win for Gesualdi now and she is thrilled to share what she describes as her “purpose” in life. “I oddly didn’t see my diagnosis as a misfortune, rather, I saw it as an opportunity — an opportunity to change my life, an opportunity to regain my purpose, and an opportunity to impact the lives of others,” Gesualdi wrote in a recent blog post. In only two years, Gesualdi has proven that nothing can stop her from enjoying life — a fact anybody will be able to see when she is driving by on the road.